Premier County Physiotherapy based in Thurles & Templemore are the only clinic’s in Tipperary offering Shockwave to its patients. Chartered Physiotherapists Therese Ryan, Emma Callanan, Eibhlis Cooney and Joanne Shanahan are now fully trained to administer this highly innovative, dynamic and forward thinking treatment. 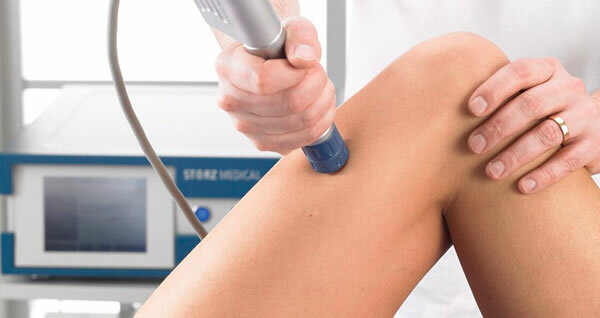 The results of Shockwave are evidence based and groundbreaking in the field of injury rehabilitation. Here are some recent testimonials from Patients in both clinics. So What Is Shockwave? Shockwave has been defined as a significant breakthrough in pain management. It is a proven technology with clinical studies reliably reporting a success rate above 75% in many chronic pain cases. Shockwave sends pulses into the body which are generated by compressed air causing acoustic energy to illicit the desired effect within the body.